You guys…timing is everything, especially when it comes to animation! 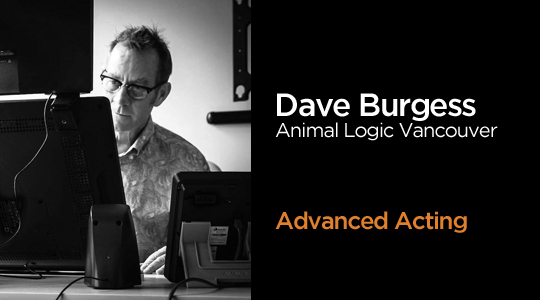 Conceptually it seems simple, but getting right is a big challenge—and, if you ask DreamWorks and Disney veteran Dave Burgess, it’s also the most fun! 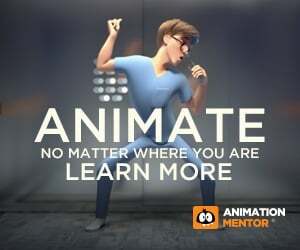 Learn more about how you can use the principle of timing to improve your work and become a better animator. As a long time character animator, I’m often asked about how we do what we do and what are my favorite parts of our crazy, convoluted process. What was true for me in the hand drawn 2D days still holds true when I’m animating on a computer: I love animation timing. Timing involves a few simple principles: how quickly something moves and how long it stays still. Slowing something down in time adds weight, gravity, and mass. Speeding something up adds a sense of speed, lightness, and energy. You had to really make the most of the screen time you had, and make every frame count. There are many ways to apply these principles to our work, but probably the simplest way to describe it is to go over my process when I started a piece of 2D animation done with pencil and hole-punched paper. I get briefed by the director(s) on what they need out of the scene/shot. I then go to my desk and start thinking on how I want to approach it. If it’s a heavy body mechanics shot, I might look to YouTube for live action clips that feature some of what I’m trying to do. If it’s an acting shot with a voice track, I’ll look at live action reference of the voice actor—or another actor whose physicality matches what I think the shot needs—and try to decide how I want to portray the action. Timing involves a few simple principles: how quickly something moves and how long it stays still. I will sometimes do small thumbnails to work out potential posing problems, and, if warranted, will shoot quick and dirty video ref of myself or a fellow animator performing several versions of the shot. This helps me get a clear idea of where I want the shot to go, what I want the animation to be about. Once my ideas are clear, I sit down at my desk and start animating. I create a series of drawings that relate to each other, creating as many as I need to make sure my intentions are clear and that the action read. I will flip these drawings to get a sense of whether or not the rhythm of the action is working. 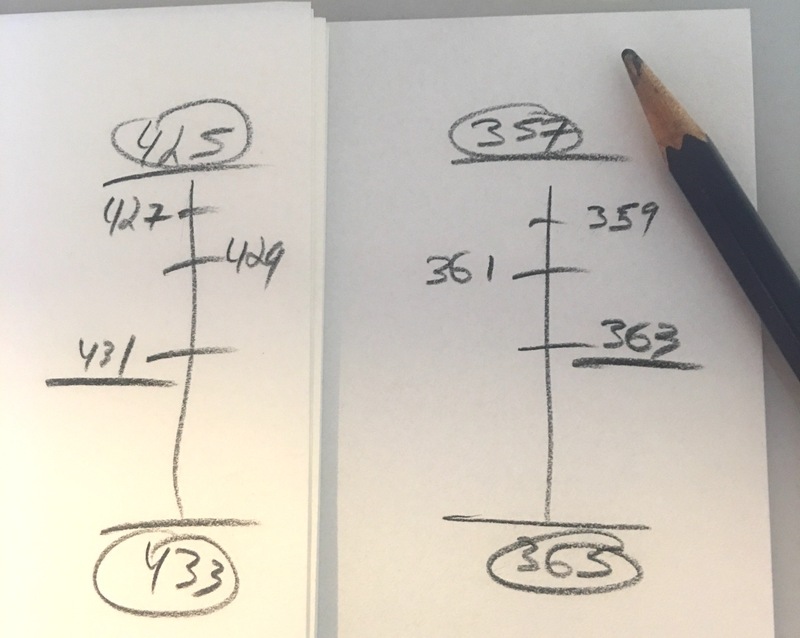 Once satisfied, I’ll take my stack of numbered drawings over to the pencil test machine and input the images, one after the other with each image being held for 1 frame. When this is done, I’ll hit play and see a very fast, very smooth, very even version of my shot. The actions have very little sense of rhythm or weight. If there are 48 drawings, it will play for 2 seconds—each second of screen time is 24 frames—despite the fact that the shot is 5 seconds long in the editorial cut. This is when I start timing my shot—and for me, the fun really begins. I’ll begin by changing the holds of my main circled “Golden” keys, usually giving them a value of between 6 to 12 frames, which translates to 1/4 to 1/2 a second in time (24 frames equals 1 second of screen time). This means my main keys will be held long enough for the audience to get a good look at them and have the attitude/pose/drawing read clearly. I’ll then work on the breakdown images, with my general rule of thumb being a slow in or slow out will get a value of between 4 and 8 frames, and straight in-betweens and partials will get a value of 1 or 2 frames depending on how fast I want the transition between poses to read. If the character is large or heavy, I’ll often hold the drawings/poses longer than I would for a small/fast character. For example, each of the drawings for an Archdeacon from a The Hunchback Of Notre Dame shot would generally be held for 6/8/10/12 frames, whereas a Genie from Aladdin shot would more likely be on 1/2/4s, as his actions were much faster. This is when I start timing my shot—and for me, the fun really begins. After adjusting the timing, I’ll hit play and suddenly the smoothness of the action is gone, and my main poses were on screen long enough for the viewer to read them, to understand what the character is thinking/feeling/doing. It should now be very close to the actual 5-second editorial length. As I watch the shot play, I’ll adjust the holds to get the best possible read on the action: this 6-frame hold will change to an 8-frame hold, that 4-frame in-between is sticking, I’ll change it to 2 frames, etc. I then ask myself a lot of timing-specific questions: Does the pose read better if I hold it for an extra 4 frames? Does that make it funnier or just dull? Will speeding up a transition action work better so I have more time on my main pose, or does the quicker action confuse the viewer? Do I need 2 more frames on my 4 frame anticipation to really get it to land? Does the top drawing on my arc need another few frames for more hang time? When I’m totally satisfied, I’ll renumber my image series, changing the sequence to actual frame numbers: 1 (held for 10), 2 becomes 11 (held for 4), 3 becomes 15 (held for 2), 4 becomes 17 (held for 1), 5 is now 18 (held for 2), 6 is now 20 (held for 6), 7 is now 26, etc, and add my notations for how I want the shot to be in-betweened. These numbers make it easy to transfer the info to the exposure sheet so the camera person knows how to shoot the scene, and once it’s fully in-betweened, the numbers are updated again. This was how I worked in 2D, though I did work with other animators (Eric Goldberg for example) who committed “time numbers” to their drawings before they went to the pencil test stage. I was amazed that they could do that, and do it so successfully. I never really tried that method, and I enjoyed my slightly more organic way of working. When I switched to animating with the computer, I would often start a shot like that, creating pose after pose on single frames, paying attention to how the poses related to each other and not to how long they were on screen. I’d often create a copy of a pose and tweak it and A-B the original copy to see if I could improve it. If I did, the original would be deleted. If not, the copy would be cut. Once I was happy with my poses, I’d start to slide the poses around in the timeline. In the early days, I’d work with stepped curves, and moving the poses around was pretty straightforward. As my workflow strengthened and solidified, I stopped working in stepped mode and began working in copied pairs using a plateau or clamped curve type, where I’d create a copy of each of the poses and slide how long each pair was held. Obviously in a shot with fast action or a walk, some of the poses/in-betweens would not need a copy to read. The amount of time I held my pair determined how long the pose would read, just like in the 2D days. And working this way meant I never switched my major motion curve type; to me, going from stepped to spline was always scary and destructive, so I stopped doing it. On Madagascar I’d spend a ridiculous amount of time playing with my timing. Could I hold my main pose 3 extra frames and speed up my transition? Did that add energy or just make it confusing? Can I cut a couple in-between frames and create a smear pose to make the action punchier? Will 4 or 5 more frames at the top of Alex’s jump arc give it a better cartoon hang time feel or does it feel weightless? Will adding 4 frames to Gloria’s down walk pose add the extra weight a hippo needs? An animator usually had to work within a set shot length due to the audio or rhythm of the layout cut, so adding extra frames to a shot was often not possible. That meant you had to really make the most of the screen time you had, and make every frame count. 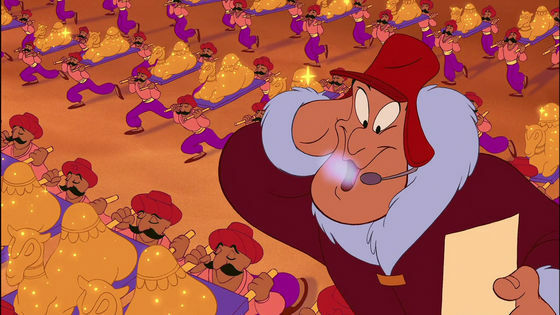 I used this principle in a big way when the Genie was changing forms so quickly during the “Prince Ali” song in Aladdin. Trying to spend a few extra frames on the main poses and keeping the transitions lightning fast made it possible for the audience to stay connected with the character(s) despite the quick cuts and rapid-fire delivery of the dialog. One of the characters I had the most fun animating was Hammy the Squirrel from DreamWorks Over The Hedge. Steve Carrell gave a great vocal performance, and the really fast emotional transitions that went thru Hammy’s brain were so much fun to animate. 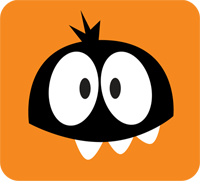 In this clip from Hammy’s Boomerang Adventure I did everything I could to try to match the timing/feel of the classic Warner Bros Looney Tunes cartoons. There were so many things going on I had to be really careful with how I doled out the frames on the actions, trying to squeeze another frame or two for my main poses so the audience could stay with Hammy as he worked through his boomerang problem. I hope this makes some kind of sense, and helps clarify why I love timing in animation SO MUCH!